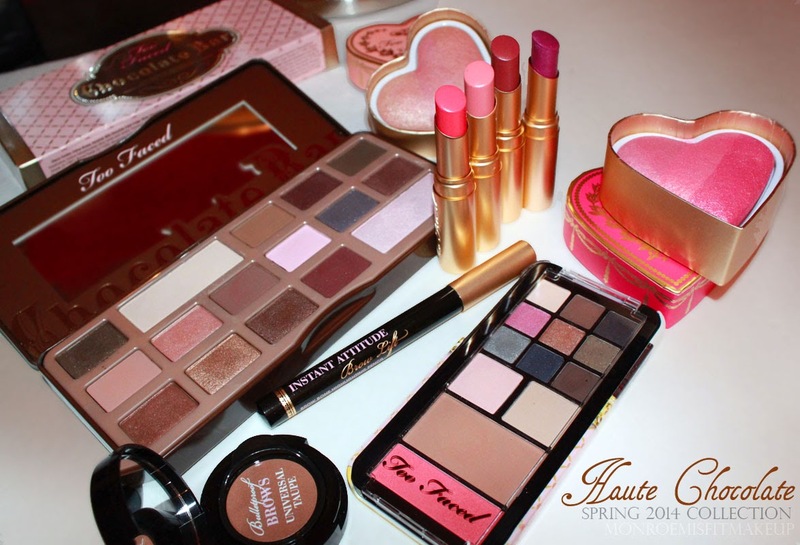 The Spring 2014 Haute Chocolate Collection (c/o) features the Chocolate Bar Eyeshadow Palette, Candy Bar Pop-Out Makeup Palette & iPhone Case, Perfect Flush Blush in Something About Berry & Peach Beach, Attitude Brow Lift Brow Bone Highlighting Pencil, Bulletproof Brows in Universal Taupe & Brunette, and La Creme Drenched Lip Creme in Pink Chocolate, Lolipop, Jelly Bean, Taffy, and Bon Bon. Too Faced is gracing us with so many list-worthy makeup gifts in their Joy to the Girls Collection this Holiday season. 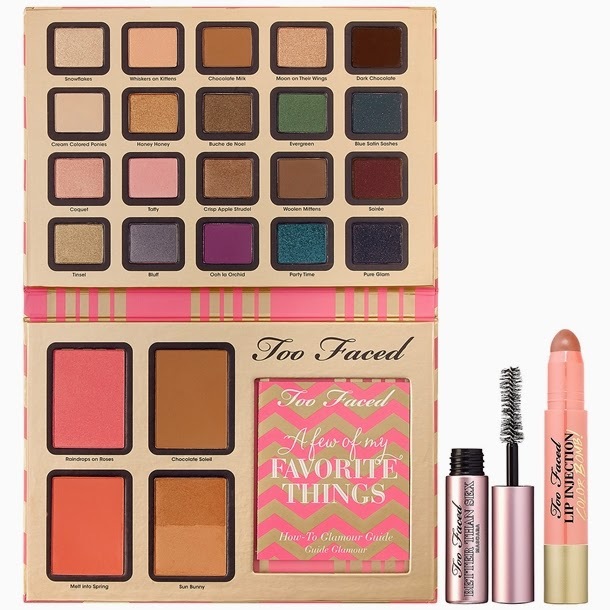 At the top of my list is the SEPHORA exclusive "A Few of My Favorite Things" set ($56). Curated by Founder and Creative Director Jerrod Blandino this set comes with a stylish chevron makeup case, a large palette made up of 20 eyeshadows, two blushes, two of their most popular regular line bronzers, deluxe size of the best mascara ever, and a full size Color Bomb lip injection in the exclusive shade Bee Sting.